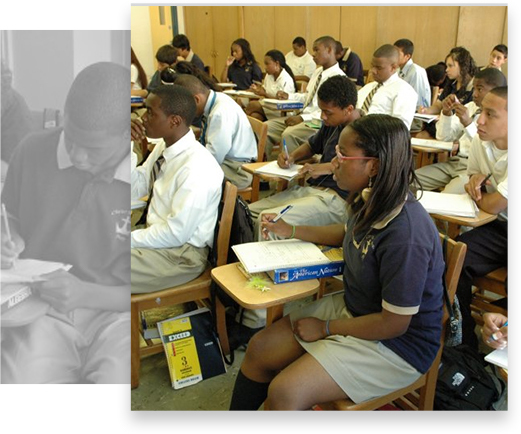 Cristo Rey Newark High School, a member of the Cristo Rey Network of 30 schools nationally and growing, provides a college prep education for urban youth with limited economic resources and educational options. In addition to the challenging curriculum, their students participate in an innovative corporate work-study program, which helps to offset tuition costs while providing valuable real-life experience. Managing multiple donation needs, and its corporate work-study program, meant that Cristo Rey Newark required a flexible solution capable of satisfying all areas of the nonprofit. At the time, they managed donor data with Raiser’s Edge, but the team felt it was over-complicated and lacked the responsive support to help them solve their unique challenges. With an expensive, difficult-to-use software in place that wasn’t fulfilling all of their needs, Cristo Rey Newark knew it was time for an upgrade. The organization identified that Causeview, built on the Salesforce platform, would be the answer to their problems. With the fundraising specialty of Causeview and the corporate relationship management functionality of Salesforce, Cristo Rey Newark could connect all of their crucial data in one central, cloud-based location. With Causeview, Cristo Rey Newark has been able to operate much more efficiently, while also bringing about major improvements to its fundraising performance. “It’s so much simpler to use,” Lisa Papciak, Cristo Rey Newark’s Assistant Director of Development, shared with us. They have loved working with Causeview’s easy-to-create online ActionPages. For major events, they now have the ability to sell tickets and sponsorships, with all registrations tracked in real-time by Causeview. The custom, integrated donation pages they have setup let their supporters give intuitively and receive automated acknowledgments. To enhance their stewardship, they generate a weekly report of new gifts so that the organization’s President can send hand-written thank you notes directly to constituents. Spend some time with an fundraising expert to see how Causeview can help your organization.